Document - UNHCR Ethiopia Fact Sheet July 2018. 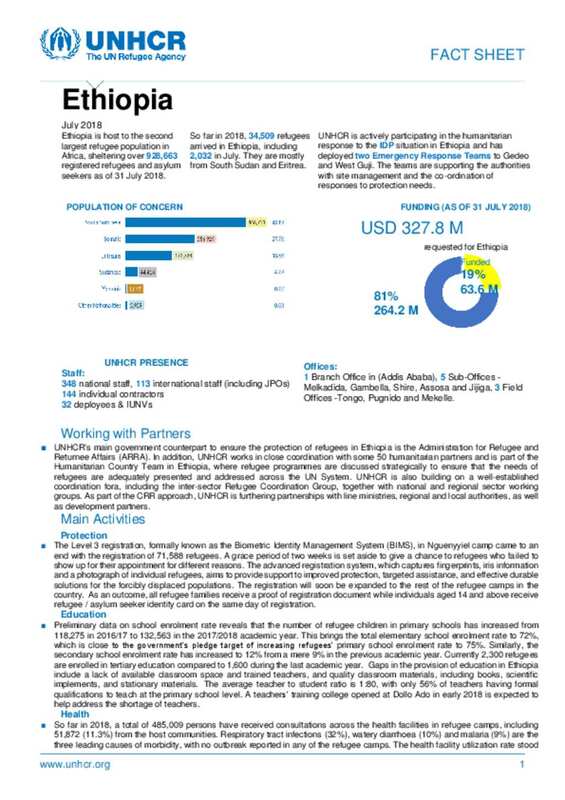 UNHCR Ethiopia Fact Sheet July 2018. A briefing fact sheet providing updates on monthly basis.